This quartet of short experimental films from gay filmmaker Michael J. Saul (Crush) feature themes of first love, coming out, a gay teenage vampire and the beauty of youth. Morning Dance (1988) Created from a childhood memory of first love and private obsession, "Morning Dance" became more of a lament to loss of innocence and beauty. Dominus (1991) Crafted from a local new story about a teen found dead in his backyard pool after a confrontation with his father over the boy's sexuality. Hover (1996) A gay teenaged vampire wallows in his self-imposed exile, while his savvy mother helps ensnare victims for him. 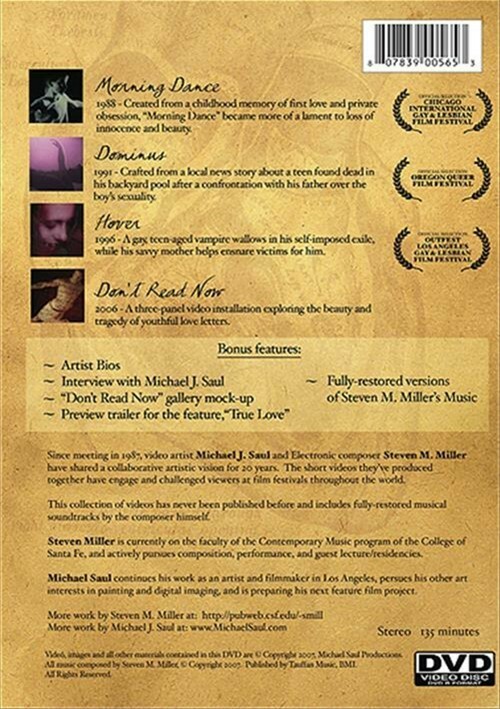 Don't Read Now (2006) A three-panel video installation exploring the beauty and tragedy of youthful love letters. Get a glimpse at the early work of gay filmmaker Michael J. Saul - the man behind True Love, Crush and Go Go Reject. 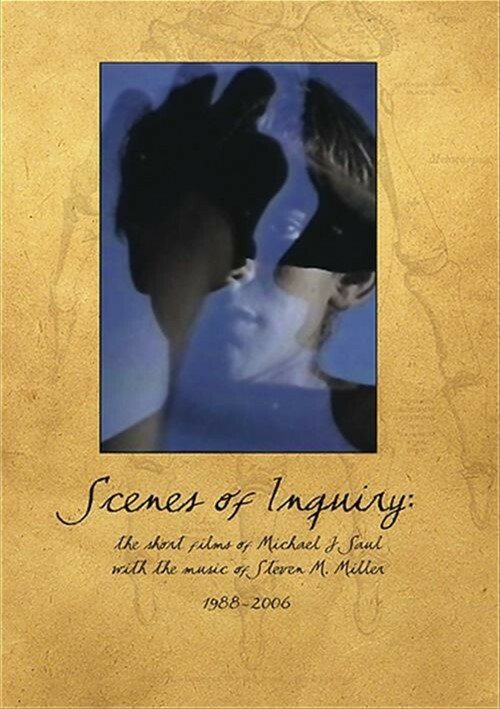 This DVD features in-depth interviews with Saul where he explains his intentions with each film and where he was at in his life at the time that they were made. Though the films are largely experimental, they show the early promise of a very talented and versatile filmmaker. "Morning Dance" made me go back in memory and think about when I first loved and was it not an obsessive kind of love. The young are not aware of obsession and then before we know youth is gone and as reality and maturity set in, we tend to lament that loss of youth, of innocence and the lost of purity. "Dominus" is about a young teen found dead in the pool o mhos backyard after a confrontation between he and his father about the teen's sexuality. His loss of innocence is reflected in his loss of life. "Hover" is a bit more difficult to describe as it deals with the paranormal. We see a teen vampire in his self-imposed exile as his mother helps capture his victims. That satisfaction of desires makes him whole yet he is in a world where he does not belong. Youthful love letters that are both beautiful and sad are the theme of "Don't Read Now" and all of us have had some experience in passing notes that are not to be read "now". These notes contain our secrets that we write about but we do not want the face of the person who gets the note as he reads.